Incomplete forms do not get entered. all walks of life, who share a related set of difficulties. If you or a loved one is limited in their mobility. 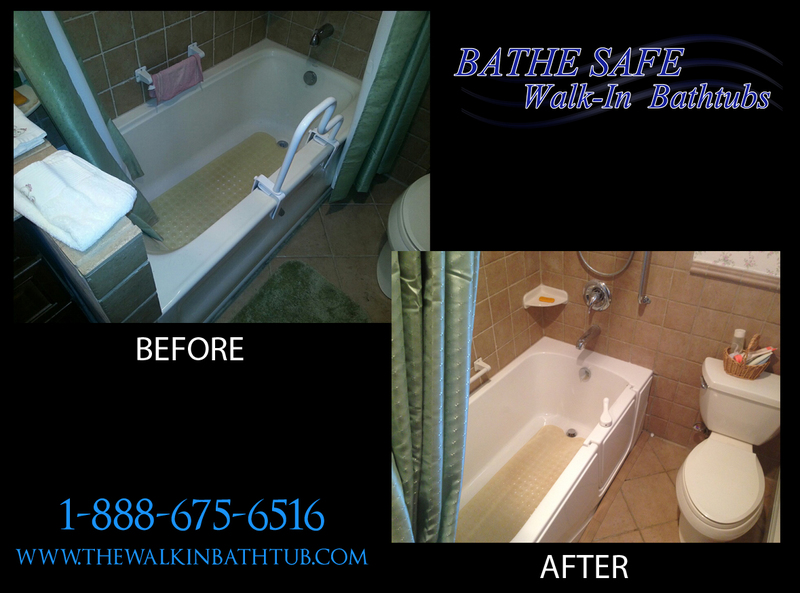 aged, or struggling with chronic pain, edema or perhaps even occasional arthritic changes, you will absolutely love owning a walk in bathtub. Making every day tasks, such as taking a bath, safer & easier, can impact your quality of life tremendously. most cases your bath tub will also come with a handheld shower, easy to operate handles for the faucet, grab bars, a shower rod & shower curtain & a jetting system. The two different kinds of jetting systems available are either water jets or air jets. When deciding what sort of jetting system you would like for your walk in bath, it is important to take into account the health of the users. If any user has sensitive skin or bruises easily, you will want to stick with air jets, simply because force from water jets may result in bruising and skin problems, for some users. If that isn’t a concern, then you may elect to go with water jets or perhaps even a dual jetting system. Whatever you opt for, the jetting system is what classifies your walk in bath as durable medical equipment, and a tax deductible expense. The jetting system is also what is going to provide the most health benefit for you. You’ll be glad to know that these jetting systems are maintenance free. The only caution , should you to get a water jet system, is that over time, the lines in water jet systems can collect small particles of bacteria. 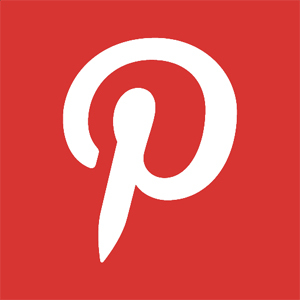 So, you’ll want to clean the lines periodically by running a cleaning solution through the jets, at the same time that you clean the bathtub itself. Of course if you prefer a truly maintanance free solution, many of our customers prefer the convenience of the air jet systems. Being a major manufacturer of walk in baths, we provide a number of models for you to choose from. The Original Series is the most popular walk in bath that we offer. They’re classic in design & with eight distinctive models, fits just about every user and most every installation, perfectly. 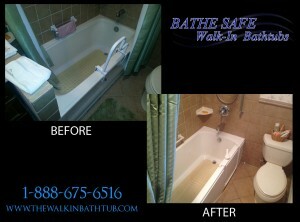 Walk In Bathtub installed in Queens New York. Since some of our customers have very little space for their installation, we built a line of walk in baths just for them, referred to as the Space Saver line. The Acrylic Junior (32x38x38) and The Acrylic Square (27x39x37) are built to replace an existing shower area, where space is extremely limited. If the one who may be using your tub is wheelchair bound, then the model for you is the Transfer. This wonderful design, allows the user to slide in to the tub from a wheelchair. There are 2 models in this series, one that is 29 x 52 x 42, and one that is 32 x 60 x 40. Because this pair of models have wide outward opening doors, it is recommended that a qualified walk in bath professional consult with you prior to placing your order, to ensure that that you’ll have ample space for the installation. Finally we come to our roll in shower. This spectacular unit is designed for individuals who don’t like to bathe, but want a safe solution for them to get into and out of a shower without fear of falling. These also come with built-in seating, multiple grab bars, a handheld shower & most importantly a barrier free entry that will keep the water from flowing on to your bathroom floor, but is low enough that you can roll in, to shower from your wheelchair, or walk in, to sit on the built-in seat. Picking out the right walk in bath or roll in shower is an important decision. 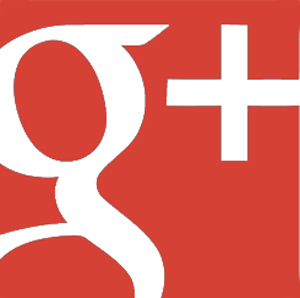 That’s why our company offers free consultations by phone or even in your home. Our understanding consultants will answer all of your questions & help you to make the selection that will work best for you, for years to come. So pick up the phone & give us a call today. You’ll be glad you did! 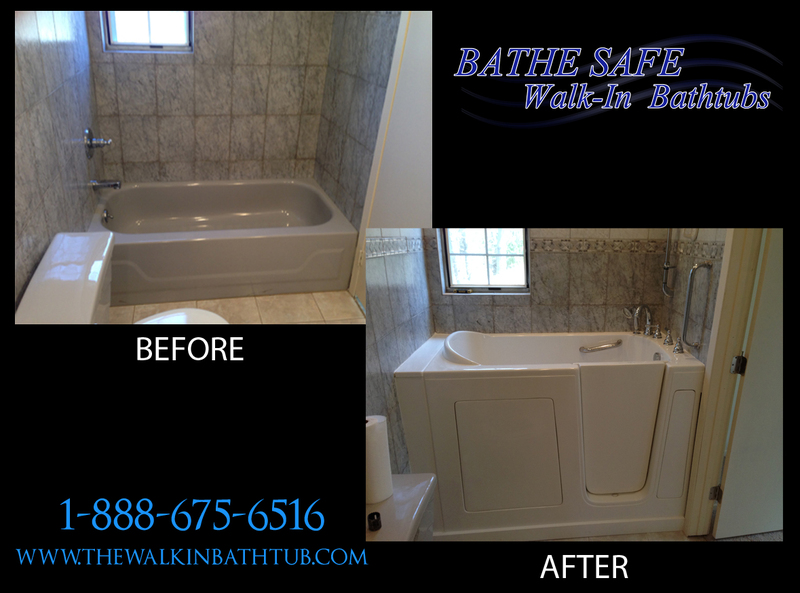 Thank you for visiting Bathe Safe Walk in Bathtubs, the premier Tri-state Walk In Tub company. We provide you with the highest quality walk in bathtubs and installations in the tri-state. 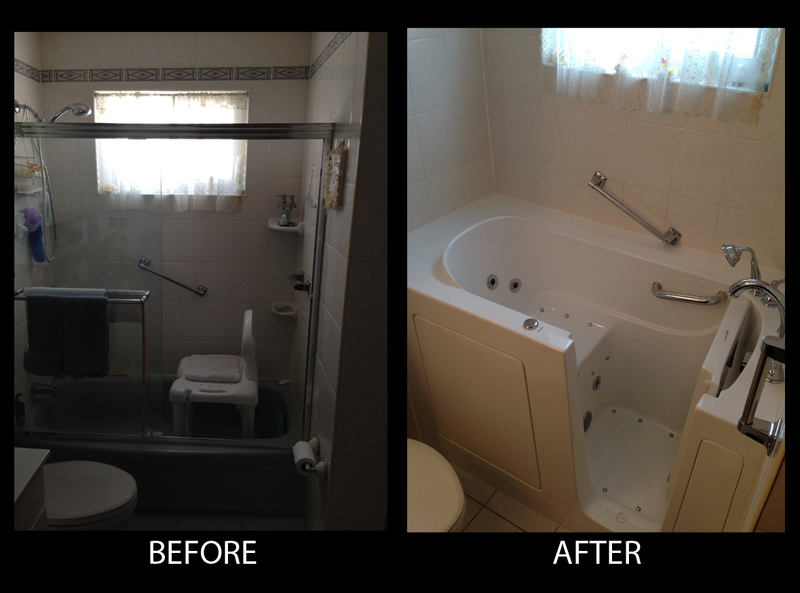 We also can provide you with barrier free showers, and low threshold showers, along with full bathroom remodels. If your looking to remodel the bathroom, refresh the look of your bathroom, or just refresh your shower or tub area, we are the right company for you. 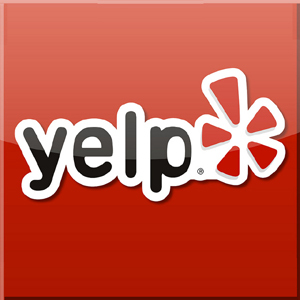 We provide free, no hassle in home consultations and will help you through the entire process!